Boston-based Nix is developing a disposable biosensor that gives users a real-time gauge of hydration levels by analyzing their sweat. Users put on the patch before they exercise, and then monitor it for visual cues indicating when, what, and how much to drink. Hydration can dramatically affect athletes, says Nix founder and CEO Meridith Unger (MBA 2010), a former college basketball player and frequent marathoner. Unger, a 2014–2015 Blavatnik Fellow in Life Science Entrepreneurship at HBS, cites studies showing that even mild dehydration can compromise performance by as much as 29 percent. Nix has garnered interest from both endurance athletes—which include about 30 million dedicated runners in the United States alone—and professional sports franchises, including NFL and NHL teams. Use cases also include military and elder care markets. All told, Unger estimates peak revenues to reach about $375 million. Nix is still in the midst of product development, but it expects to set the market with its low-cost offering—less than $5 per disposable sensor. The company has raised about $500,000 in funding so far and is readying a Series A round. 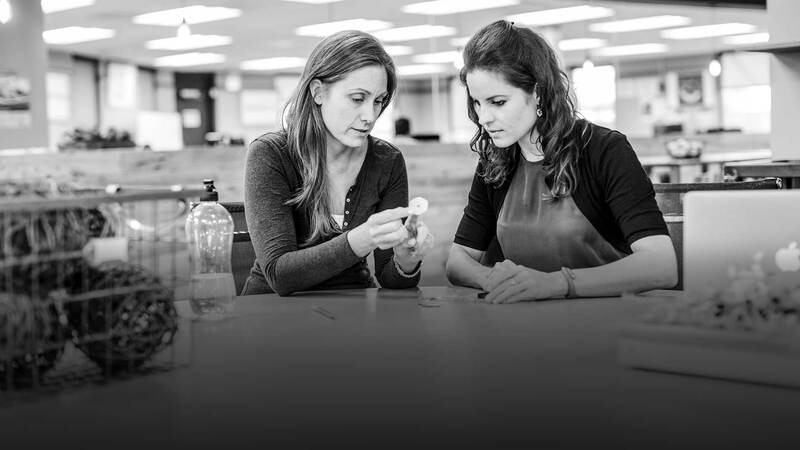 Unger and her team at Nix built the biosenser as an analog system, differentiated from the growing wearables market by its thin, flexible form and disposability. But there are benefits to going digital, including allowing users access to a stream of information that they can track and sync with other performance data. While the shift would add both cost and time—and potentially push Nix into a more saturated wearables market where it would have less differentiation—it would also offer an opportunity to grow and engage its user base by tapping into data and analytics and could add value to Nix in the eyes of prospective acquirers. Should Nix stay the analog course, make the transition to digital, or split limited resources between both paths? Focus on the cheaper analog version first. Launch it to test real demand and to better understand usage patterns and segments. If it is successful, raising more capital for developing the digital shouldn’t be a problem. You can then position a more sophisticated digital version as a premium product. The premise that digital is saturated is distracting. It’s true that there are lots of wearables, but this does something different and doesn’t compete with them—unless users perceive that they can wear only one, and the other product is more important. Start with analog and transition to digital. Until the product has user traction and the resulting revenues, it is just a dream. Pursue the analog option aggressively and produce the compelling and differentiated value that was the original design. Don’t let future plans and follow-up ideas prevent Nix from winning the category first. Hardware obsolesces quickly; it is costly to build, upgrade, retool, and distribute. Data and software are fungible across devices. Data can be cross-utilized with fitness and lifestyle partners that already have large customer bases, be easily integrated into their apps (minimizing Nix’s customer acquisition costs), and then used and repurposed by vast communities of fitness consumers in novel ways that only escalate the value to them and to Nix. Yes, Nix still needs the physical product, but it’s the data that will become its most strategic and valuable asset. Develop the disposable and license out the rights (bearing royalties and potentially producing earlier milestone revenues or other income) to an existing digital platform. Having the platform in development digitally may help boost awareness of the disposable and boost sales. This is essentially a critical safety product in its present form: Every runner should have it. Dehydration leads to overheating, which easily leads to organ damage. Focus on the mass hydration safety market; don’t delay for integration with other devices, which are more performance and training related. Next, make sure there is good patent protection. And finally, develop a strategy for longer-term digital partnerships and begin the search. Find partners that will license the technology and integrate it into their platforms in the performance, training, and tracking markets. The big market for Nix is the low-cost analog sensor. At $5 per sensor, the price point will drive rapid adoption in a very large market of athletes. The digital version has a value proposition that applies to maybe 1–5 percent of the market. This will be a completely different product design (electronics), manufacturing process, and software. Consider setting up a different brand or structure to go after this opportunity. From step counting to remote patient monitoring, Rock Health reports on the emerging world of wearable biosensors. Curious to see where the broader consumer wearables market is headed? Check out growth forecasts through Statista (and sign up for a premium account via eBaker). Learn more about how Baker Library can help you with your information needs.